Follow the steps below to install a battery pack. 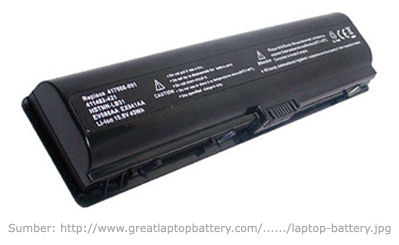 The battery pack is a lithium, which can explode if not properly replaced, used, handled or disposed of. Dispose of this battery as required by local ordinances or regulations. Use only batteries recommended as replacements. Turn the computer’s power off. Disconnect all cables connected to the computer. Hold the battery pack so that the label faces down and the connectors on the battery face the connectors on the computer. Gently press the battery into the battery bay until the latch clicks into place.